WoW Petopia Community • View topic - "Banded" Wolf? Anyone know if this guy is tameable? - shows as "cannot be tamed" but has Meat diet. I haven't got a hunter levelling yet to test it, nor do I see it on Petopia's list (I might have missed it, am super tired). There's only one with the "bands" in the full pack, so it stood out. Update, two. Plus another running around with another nearby pack. Last edited by Acherontia on Wed Aug 15, 2018 11:23 am, edited 1 time in total. Post subject: Re: "Banded" Wolf? Weird that those are there. 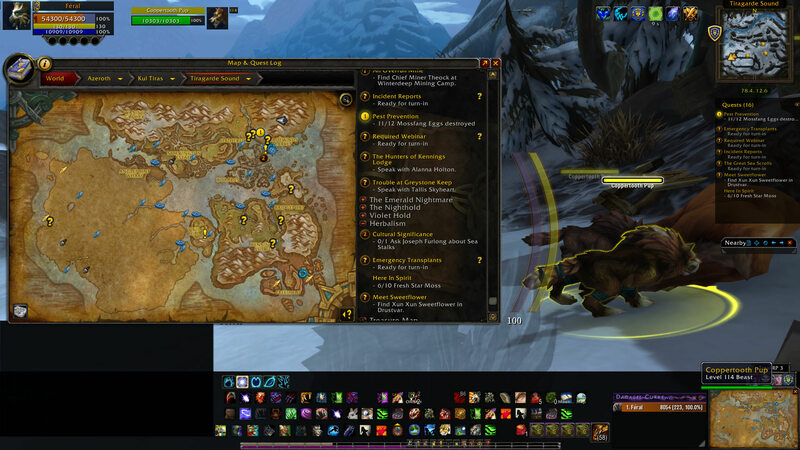 Coppertooths are located in southern Tiragarde. Could be something leftover from Beta dev. Interesting find! It looks like they accidentally selected the mount body instead of the wild version. It probably should be reported. What do you mean by the mount body, out of interest? Is there a similar mount? So the body textures are almost the same as the wild ones, but they have some bits of harness pasted on. Someone has almost certainly mistakenly selected the mount skin instead of the wild. The names are pretty similar. Ahhh, gotcha! Thanks! 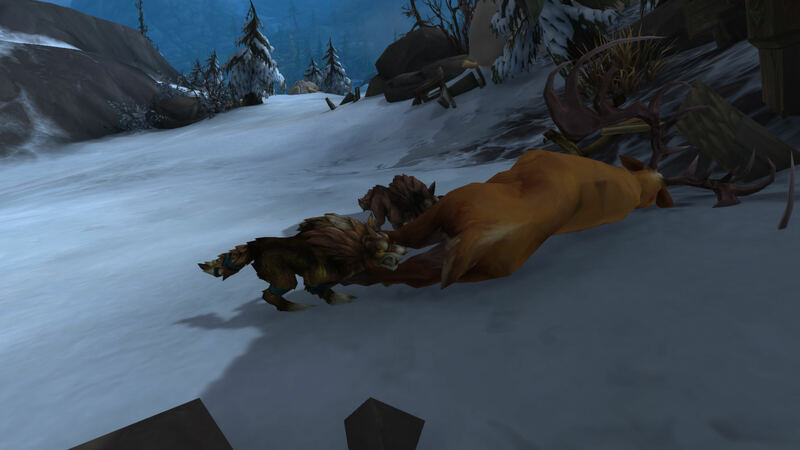 Man, some of those as-is (as in, in my screenshots, not with armor/saddle) would make pretty awesome pets. They look tribally decorated! As an update, these pups are still not tameable (which is odd, they're listed on Petopia as tameable) and the banded ones appear to be gone, as well.